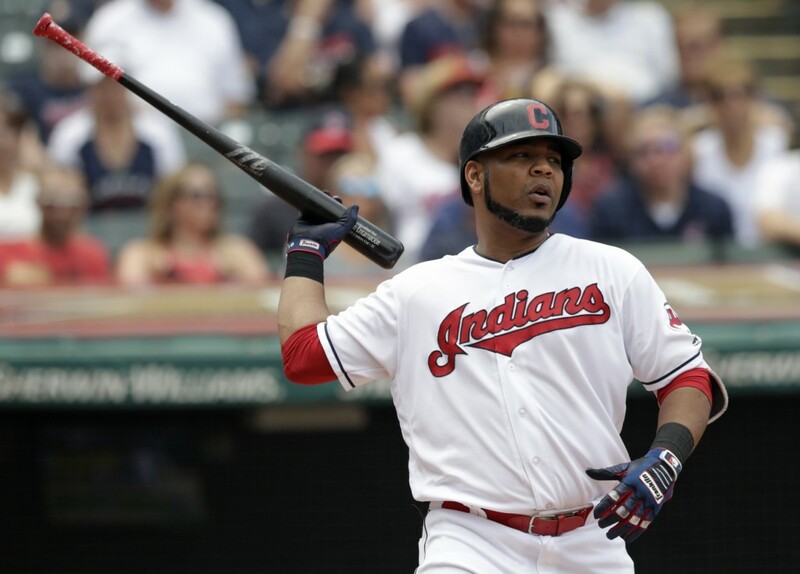 CHICAGO (AP) — Cleveland Indians slugger Edwin Encarnacion was examined Saturday because of discomfort in his left biceps and there wasn't a decision yet on whether to put him on the disabled list. Manager Terry Francona said the AL Central leaders were awaiting the results of an MRI. Encarnacion was being checked in Cleveland. He left Friday night's game in Chicago against the White Sox. Third on the team with 25 homers and second with 81 RBIs, he has struggled since being hit on the right hand by Yankees reliever Chad Green before the All-Star break. He has often been swinging with one hand, putting more stress on his upper arms. Losing their cleanup hitter for any significant time would be a blow for the Indians, who were leading the division by 11 games.